Off colour Sweden sag against Germany in front of a record crowd. With fans and pundits alike, unsure of Germany’s identity under Martina Voss-Tecklenburg, the head coach only one match into her tenure before kick-off, it soon became clear the team were the same attack-minded entity that they had been under Horst Hrubesch. The match was a slow burner but it was the visitors who worked their way to the front foot, taking advantage of sloppy and slackness in the Swedish midfield. The first real chance of the tie came 20 minutes in when Turid Knaak danced around on the right win before slipping a shot towards goal, Hedvig Lindahl’s outstretched paw enough to push it wide. 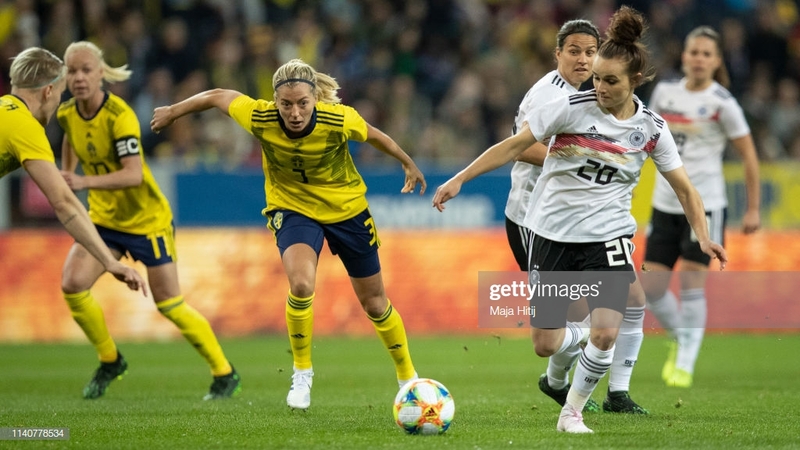 Despite having the advantage and facing a less than solid-looking Swedish defence, Germany failed to carve out any golden opportunities; Lina Magull, Alex Popp both failing to capitalise on their half-chances. Given a warning when Knaak flew in to rocket a shot off of the underside of the bar – that somehow stayed out – at the start of the second half, the hosts were left looking like statues three minutes later. A whipped corner in nodded on by a rising white shirt for a completely unmarked Kathrin Hendrich to send home – the defender played well on as Hanna Glas still clung to the far post she was marshalling. The advantage doubled by Linda Dallmann moments after she entered the fray, initially slipping on her approach to the box, the midfielder pulled herself back to her feet and fired a rocket into the top right corner. The lead was soon reduced back down to one however when Sofia Jakobsson was felled in the area, Caroline Seger calm to tuck the resulting penalty away. Making her senior debut late, Marina Hegering impressed in defence, the Essener calm enough to deal with the Swedish attacks when they mounted. In attack, Hegering’s SGS teammate, Turid Knaak had a strong game before her substitution, looking bright and energetic in attack. Still very much a team in transition, the result was well deserved for Germany, the team looking a composed and confident unit across the pitch – something that bodes very well with the World Cup just around the corner. 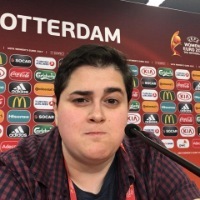 For Sweden, the match was rather a mess and only suggests serious work needs to be put in before June – although it’s worth noting a large chunk of the squad is in pre-season.